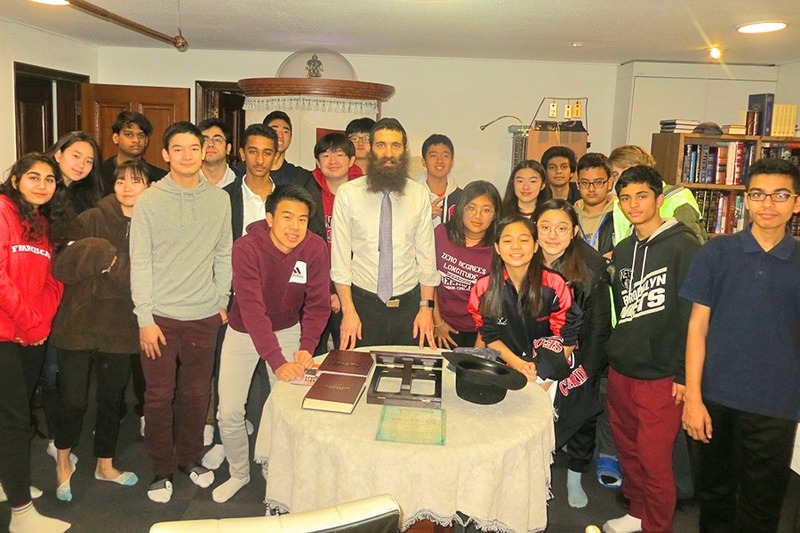 In order to extend upon what they learned in the classroom, the 10th graders in the Oasis World Religions class were privileged to be hosted by both Rabbi Litzman at The Chabad Jewish Community of Korea and Father Giancarlo at the Saint Francis Catholic International Parish. Both men graciously answered questions about Judaism and Christianity, respectively, and opened up their places of worship to the students. Rabbi Litzman spoke openly about Jewish festivals, kosher foods, the Ten Commandments, and one's accountability to God. He was prepared for every question the students had, and it was obvious that he had often spoken to student groups who were curious about the Jewish faith. 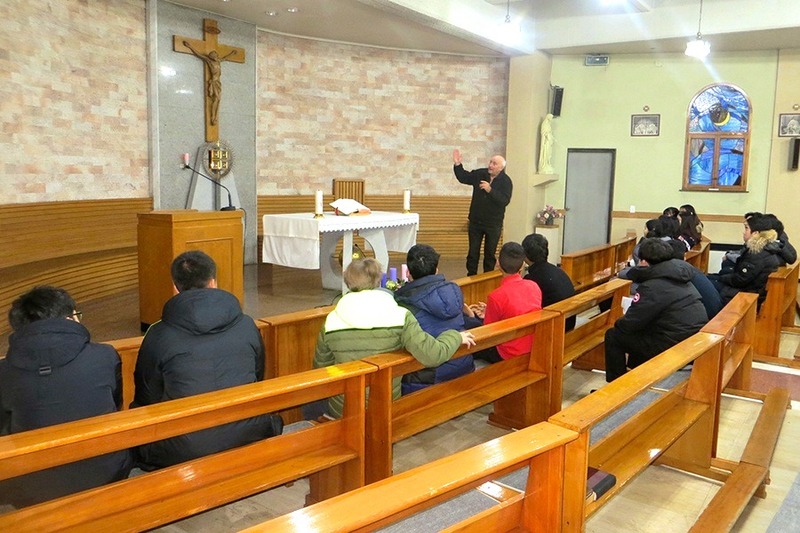 Father Giancarlo met with the students immediately after he had performed mass. It was only the second time the priest welcomed such a student group to his parish, but his engaging personality, sense of humor, and vast knowledge of mass, the catechism, and church history were made evident after answering a litany of questions with a smile. The World Religions class is grateful to both men for taking the time to host the class early in the morning. The rare opportunity to have clergymen present their faith with passion and wisdom but without the urge to proselytize was a testament to their eagerness to educate YISS students to appreciate diversity.